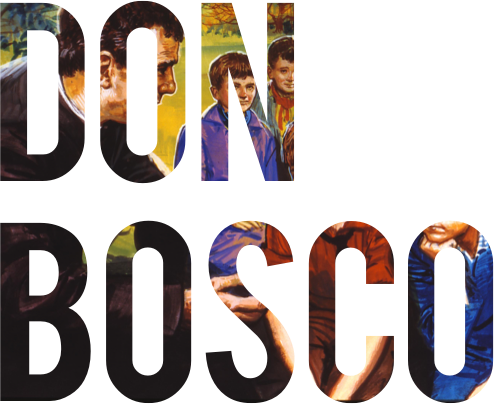 The Salesians of Don Bosco was founded on March 1, 1869 in Turin by Fr. John Bosco, who was canonized as St. John Bosco on April 1, 1934 by Pope Pius XI. Today, a century and four decades later, Don Bosco’s mission is carried on by its 16,500 members spread in almost 135 countries. Starting in 1951, the Salesian Society of St. John Bosco - Philippines, in trying to alleviate the lives of the poor children in many parts of the country have established, technical schools, colleges, training centers, seminaries, street children homes, parishes, youth centers, school of printing, printing press, bookstore, publishing houses, youth campsite, house for the elderly, center for young workers, retreat houses, center of studies, boarding house for migrant men, parish learning center and drop-in centers. 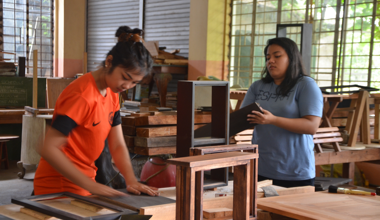 More than 6,000 out-of-school youth benefit the Technical Vocational Education and Training Programs offered by the 23 TVET Centers all over the country every year and about 10,000 young boys received basic education in the six Technical Schools. More than 1,500 boys and girls are housed in the different drop in centers, street children centers, migrant centers, boarding houses and boy’s homes. Thousands of young children and young adult also participate in the programs of the youth centers. Meanwhile, thousands of parishioners flock the parishes to receive spiritual guidance and formation all year long. Don Bosco has helped thousands of young men and women in the development of their total well-being. 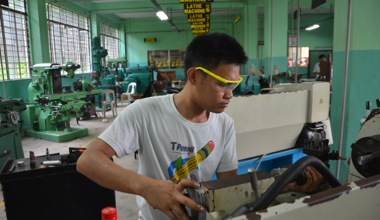 Many of the graduates of the Don Bosco TVET Centers are now gainfully employed in prestigious companies here and abroad. A benchmark and premier provider of technical-vocational education founded on the teachings of St. John Bosco. To form the students in the Salesian Educational system making them into good Christians and upright citizens. To develop and train students who are highly qualified and globally competitive. To provide quality technical education to the poor and the underprivileged youth for gainful employment. As a Christian, exercise every obligation with faith and determination. Exhibit the Bosconian character of honesty, respectfulness, gratefulness, joy, and optimism. Possess the essential knowledge and skills to obtain sustainable employment and productivity in the chosen field of specialization.